Many organizations thinking about onboarding a new LMS have clearly defined expectations. This usually includes support services, reporting capabilities, and pricing structure. However, many overlook one of the most crucial aspects of owning a Learning Management System: the User Experience. A consistent and engaging UX lays the foundation for all other features and functions the tool provides. It covers everything from the platform’s navigation fidelity to its interface design. But why does LMS User Experience really matter for LMS users on both the front and back end? First Things First…What’s Involved In The LMS User Experience? The term “User Experience” refers to how your users engage with the Learning Management System. Every aspect of the LMS factors into the UX equation, from the intuitiveness of the UI to its ability to scale and adapt to your changing online training needs. An LMS that offers the complete package delivers a top-notch LMS User Experience that enables virtually anyone to utilize the tool with ease. There aren’t any navigation roadblocks or accessibility issues standing in the way. 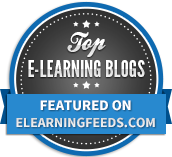 Your eLearning team relies on the LMS to develop, deploy, and monitor online training initiatives. They must be able to quickly upload online training content to ensure that users get all the information they require to bridge gaps, as well as modify existing online training materials to adapt to the evolving needs of your organization and keep up with compliance issues. An LMS that provides a sub-standard User Experience hinders their ability to achieve all these tasks. Instead, they must spend countless hours mastering the platform and dealing with a significant learning curve. Even then, they probably won’t be able to use all the LMS features and functions to the best of their ability. In many ways, the LMS becomes a hindrance to online training success instead of serving as a solid foundation for the L&D program. For example, your team must contend with an overly complicated UI, mobile accessibility issues, or data migration obstacles. This prevents them from focusing on the development process, itself, and ensuring a high-quality online training experience for your employees. At the other end of the spectrum, your online learners must use the LMS to access online training materials that are relevant to them. Their User Experience has a significant impact on knowledge retention and real-world applicability. Let’s use the example of an LMS that is more difficult to master or features an overly complex UI. Instead of the system serving as a tool that allows online learners to bridge gaps and improve task performance, it becomes a hurdle in the L&D process. First, users must figure out how to use the system effectively to get the information they require. Then circumnavigate glitches, confusing navigation controls, and a less-than-intuitive dashboard. All these challenges gradually impede their ability to acquire and assimilate the information. Not to mention, they cause unnecessary frustration and stress. Thus, they are simply unable to absorb the key takeaways in order to achieve their objectives. Online learners also link the experience to negative emotions, which may prevent them from seizing future online training opportunities. If this online training course presents so many obstacles, it’s safe to assume that other online training courses on the platform will follow suit. A favorable LMS User Experience for your L&D team and online learners translates into better ROI. Online training is more effective, and the development process is streamlined, which not only improves satisfaction and engagement but also resource allocation. Your team can focus on what really matters instead of dealing with LMS frustrations. As a result, employees get more from the online training program, designers/developers require less turnaround time, and admins identify and bridge gaps with greater ease. LMS User Experience matters to your organization’s bottom line because it sets the gears in motion instead of putting a wrench into the works. In fact, an LMS that provides a poor User Experience has the potential to drain your resources and diminish the quality of your entire online training program. Now you know what constitutes a superior LMS User Experience and why it matters for your eLearning team, online learners, and profit margin. But how do you find an LMS that is intuitive, usable and feature-rich? Most LMS vendors offer free trials or demos that allow you to test out the platform before you buy it. This provides you with an inside look at how the LMS will perform within your organization and if it meets your requirements. Not to mention, whether it aligns with the skills and experience levels of your team. Invite all relevant stakeholders to participate in a free trial so that they can provide feedback. They can point out areas where the LMS may not be as usable as you thought based on their specific tasks or requirements. For example, it doesn’t allow your eLearning developers to integrate branding elements due to limited customization features, or your admins aren’t able to view data visualizations and highlight patterns due to a complex reporting dashboard. 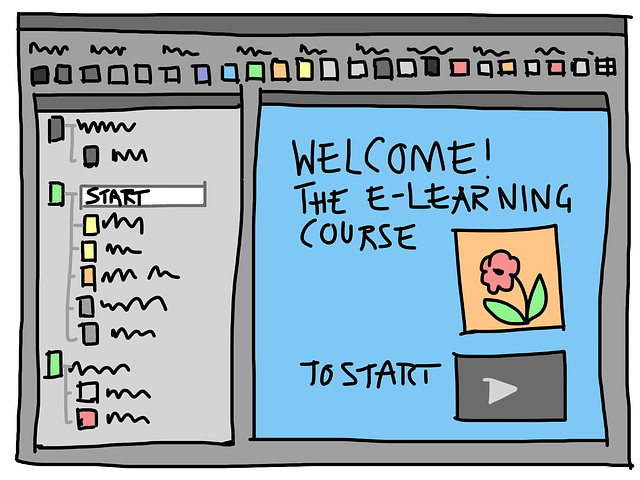 An LMS that delivers an optimal User Experience is crucial to the success of your online training program. It allows you to retain your top talent by providing them easily accessible support tools. It also lightens the load for your L&D team who must develop and maintain online training content with the LMS.